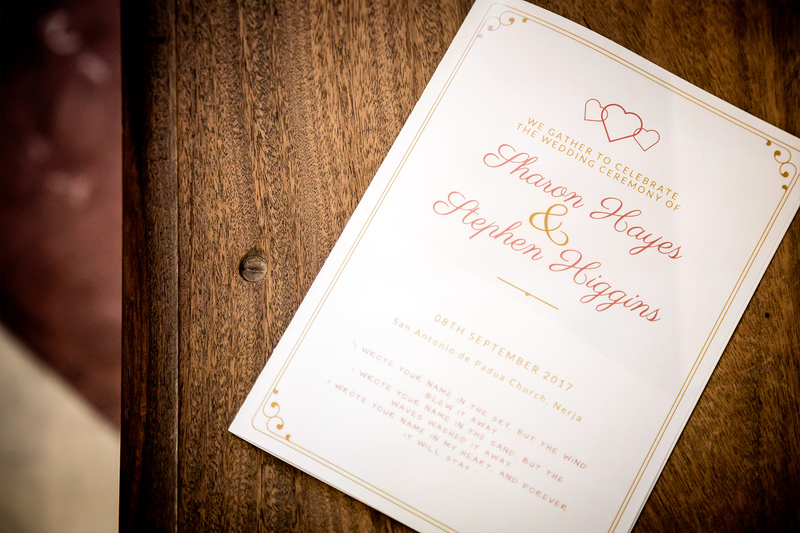 Sharon and Stephen are a lovely Irish couple who are now living in New Zealand. 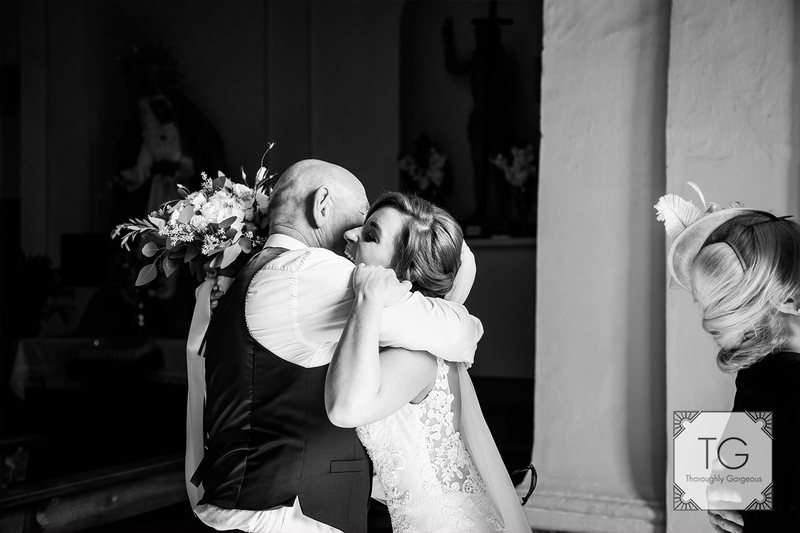 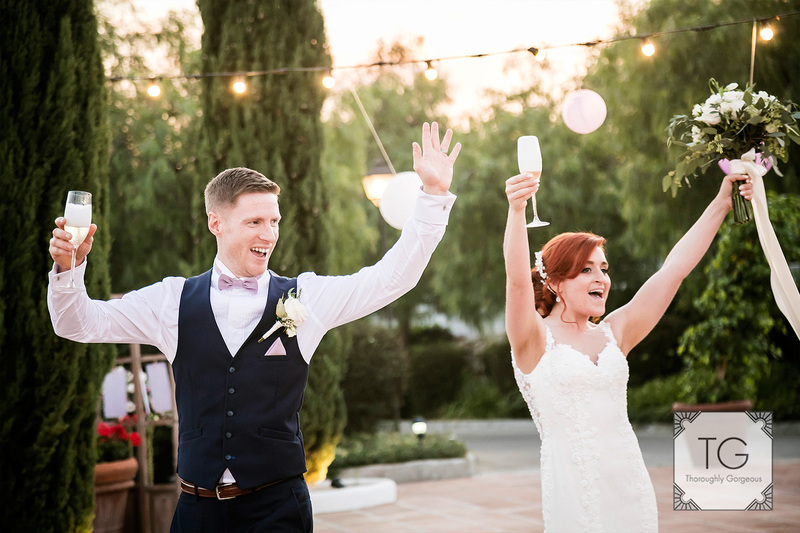 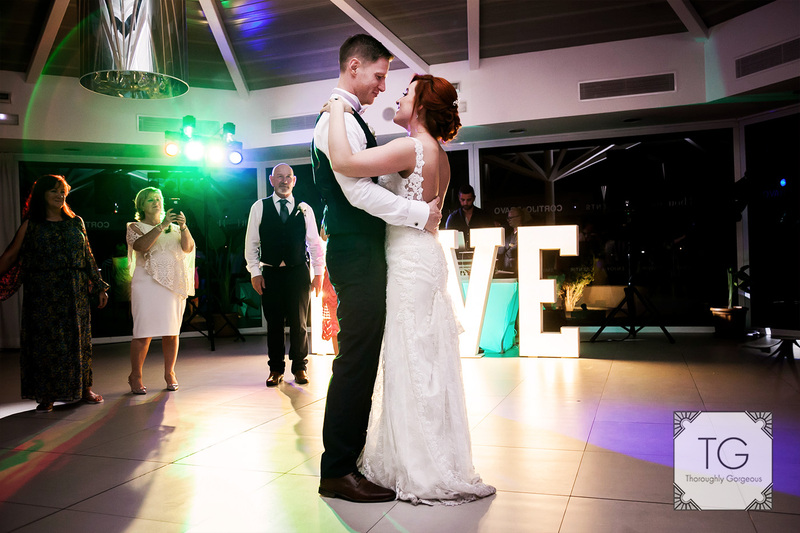 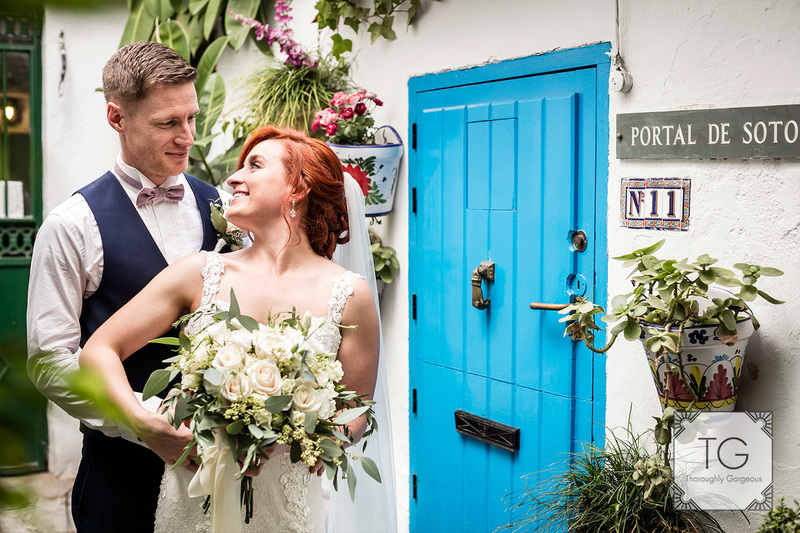 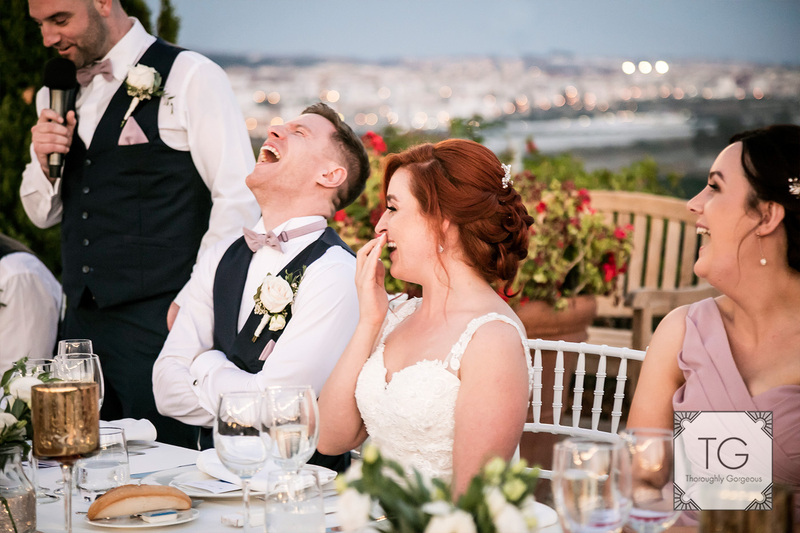 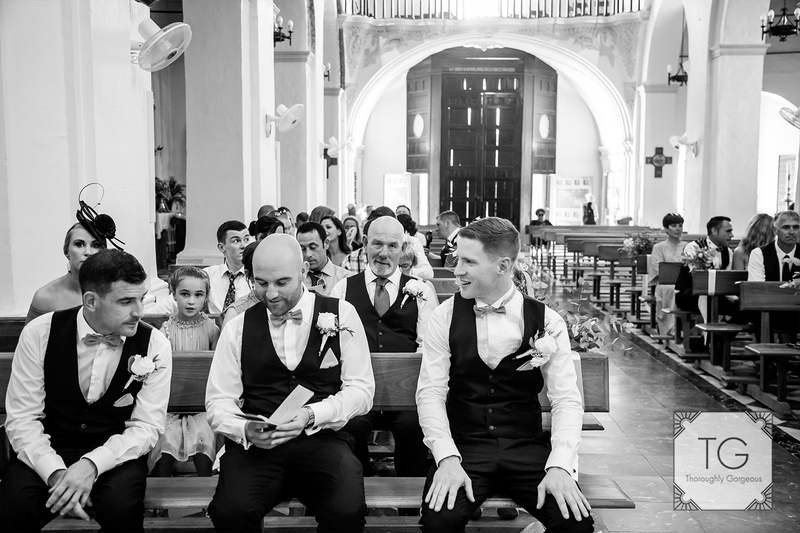 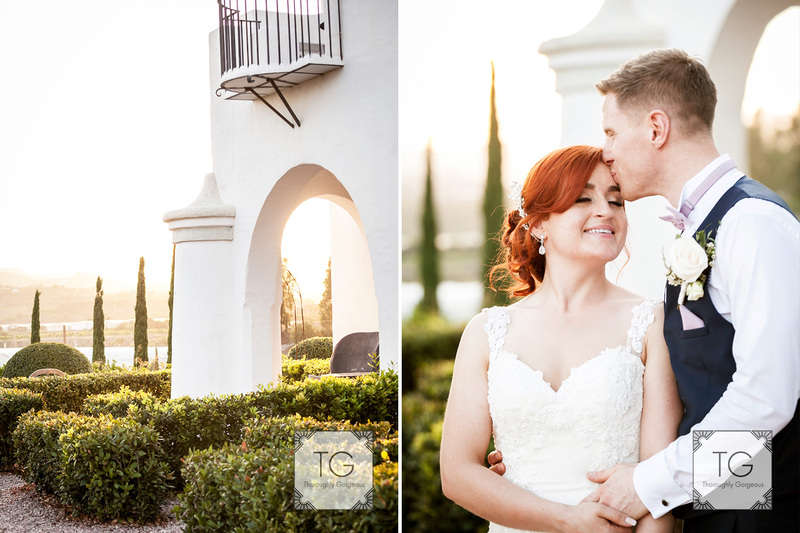 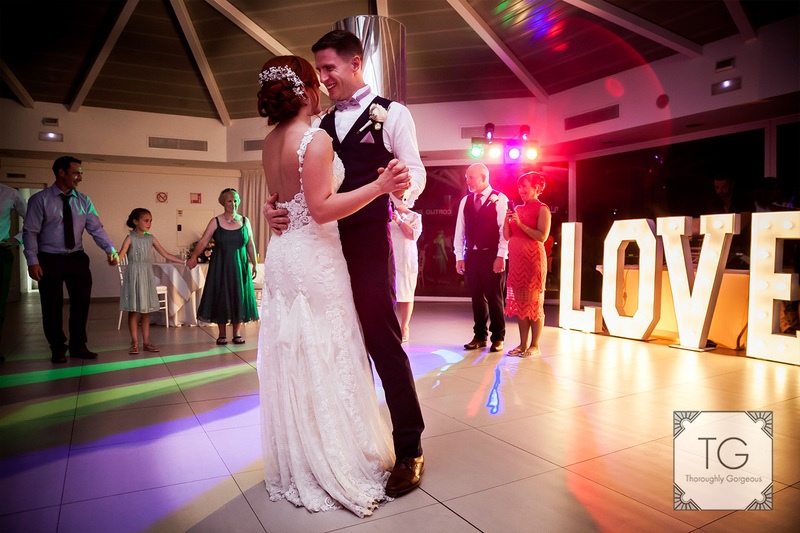 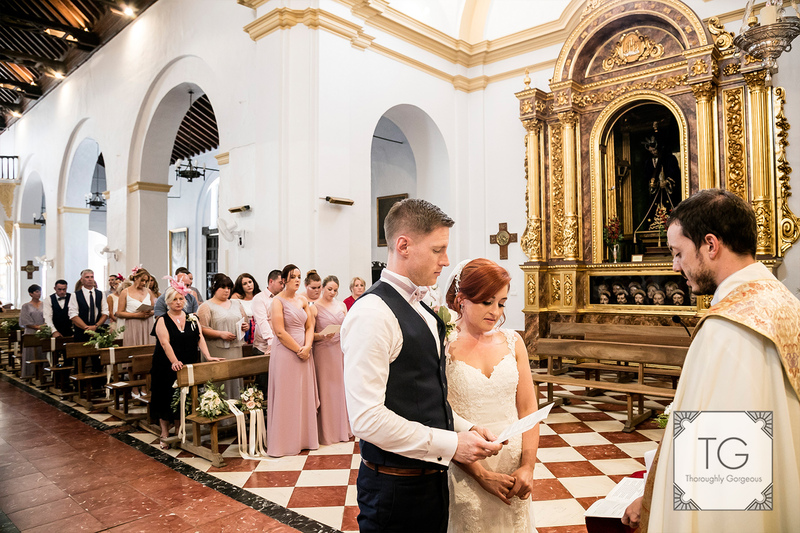 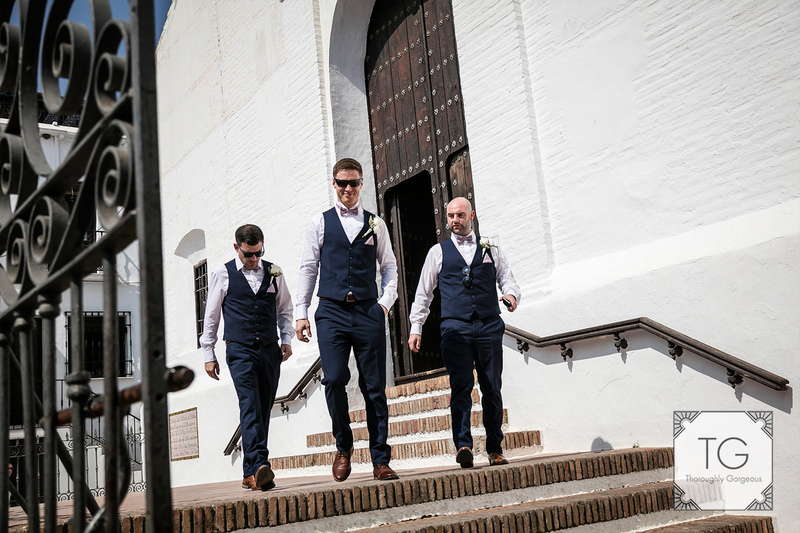 All the way from the Southern Hemisphere they planned their big day in Spain. 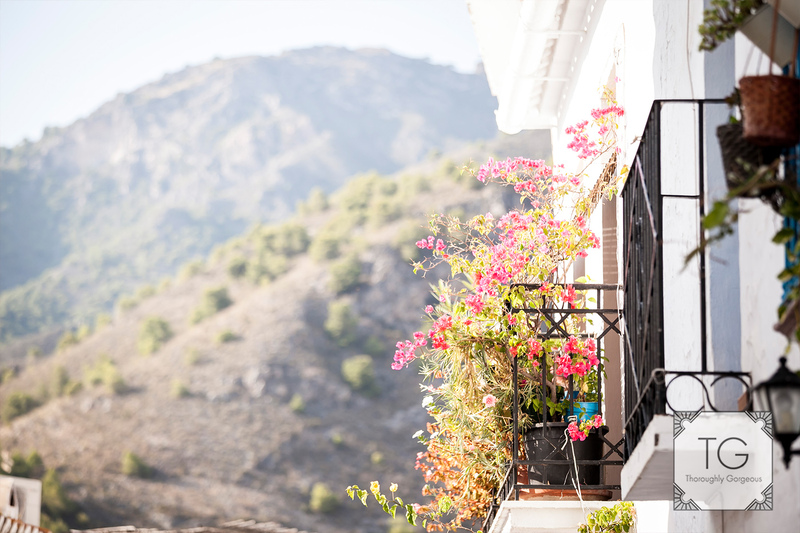 Why Spain? 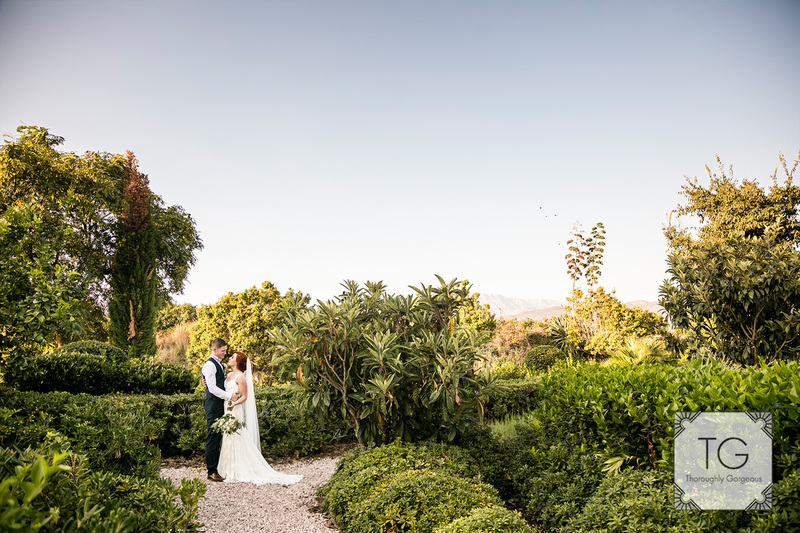 well, NZ was a bit far for many to go but they also wanted to have a bit of the warm and sunshine. 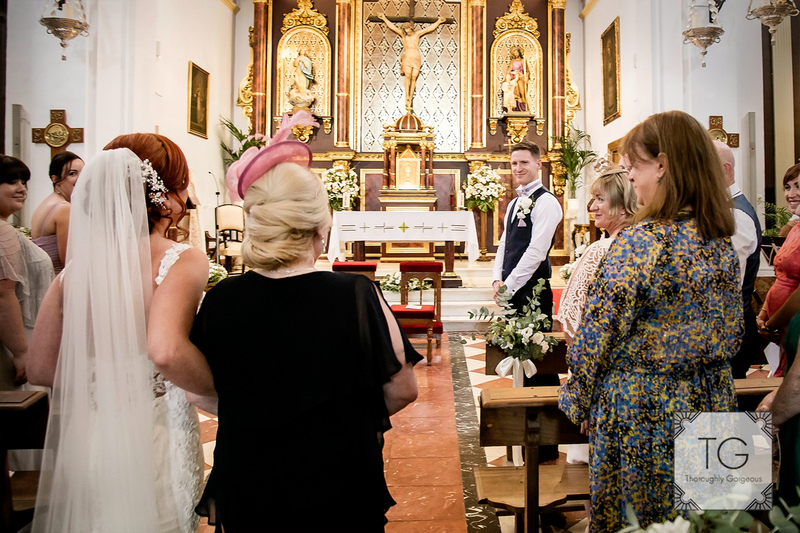 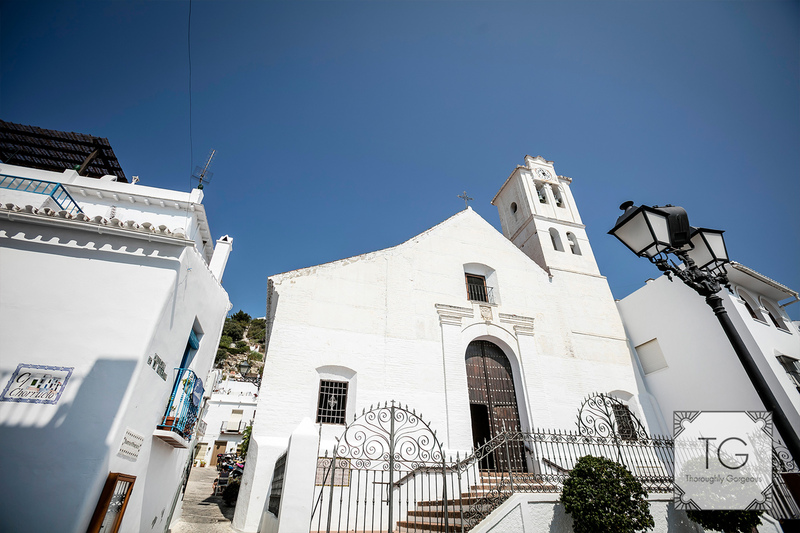 It always amazes me the amount of couples who chose Spain as the perfect wedding place for meeting friends and family, the reality is not many places can offer the guaranteed sunshine, variety of venues, food and wine and friendly atmosphere that Spain does and all no more than a couple of hours flight from any point in Europe. 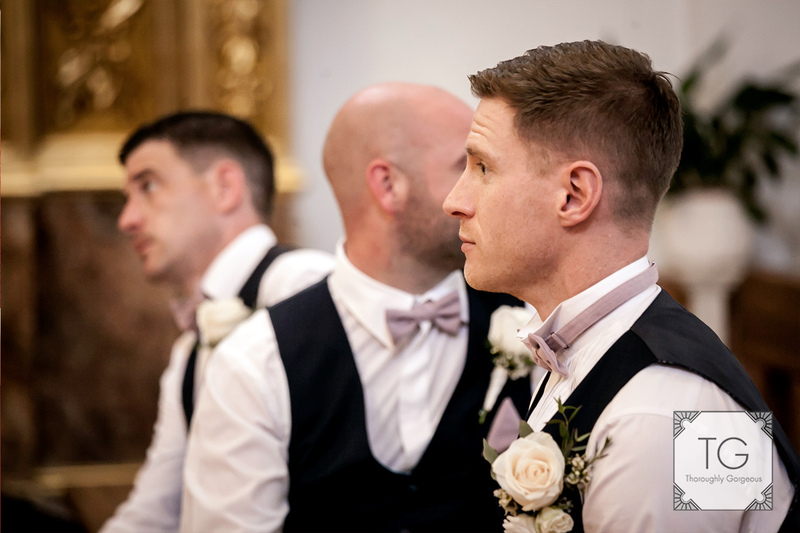 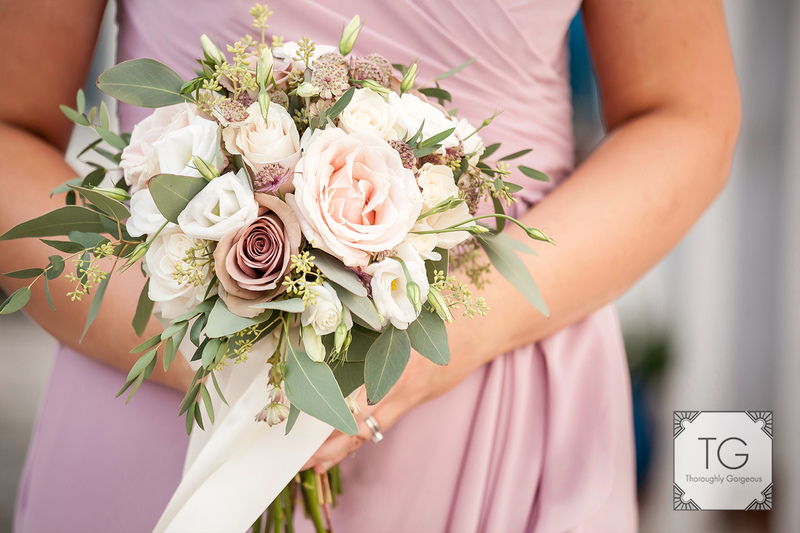 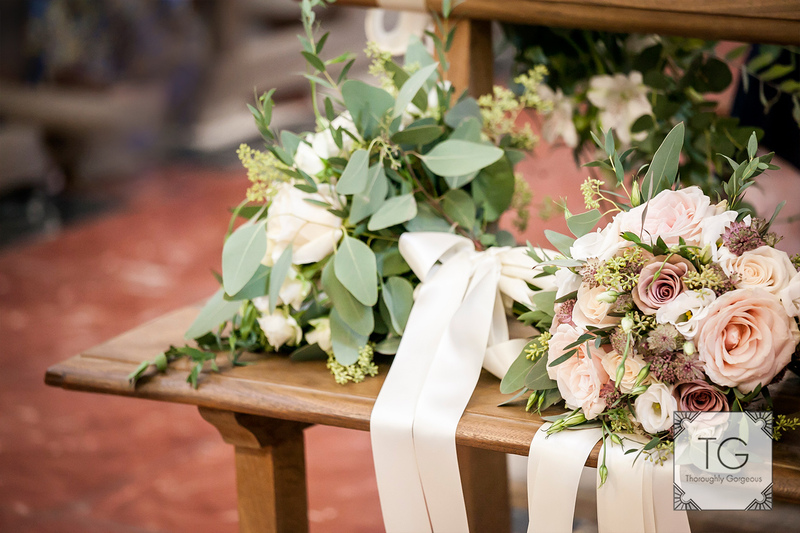 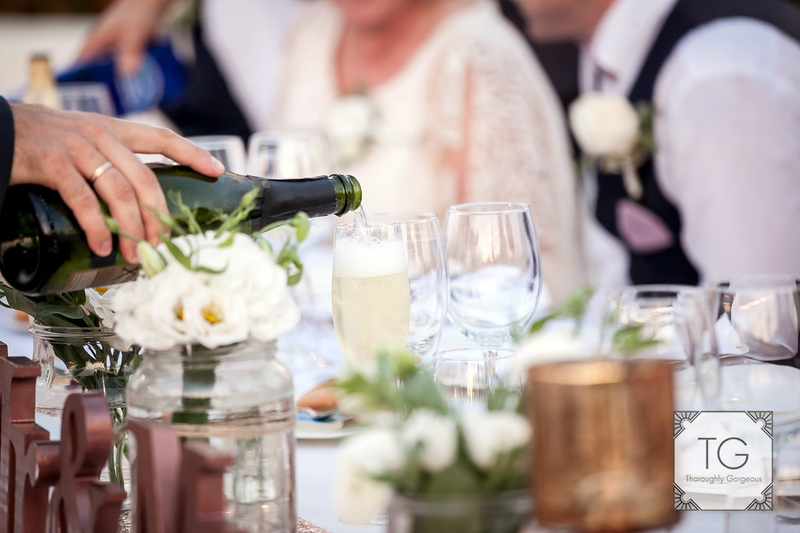 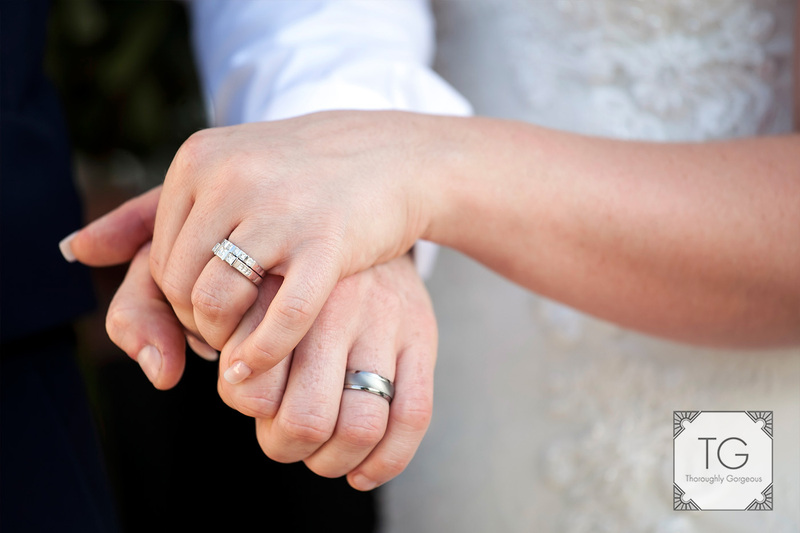 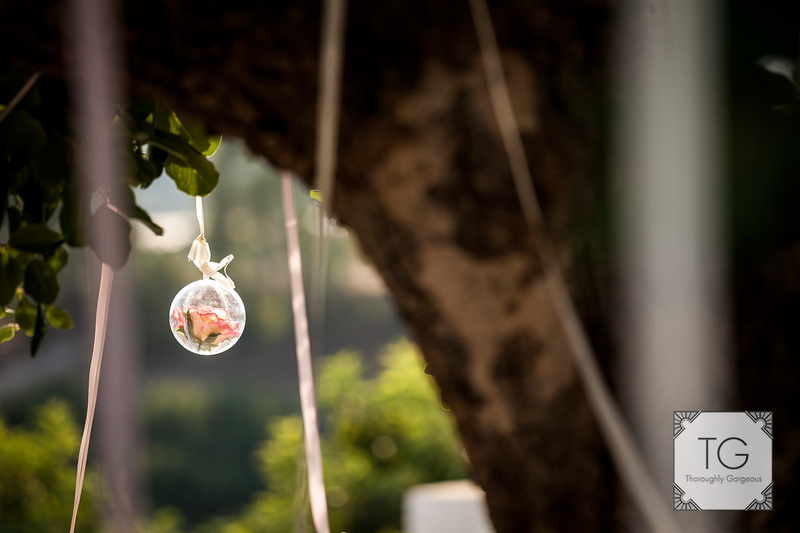 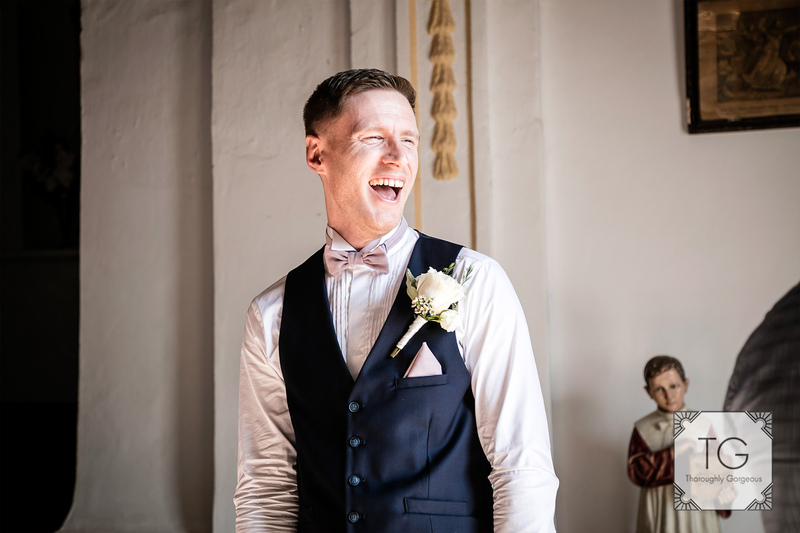 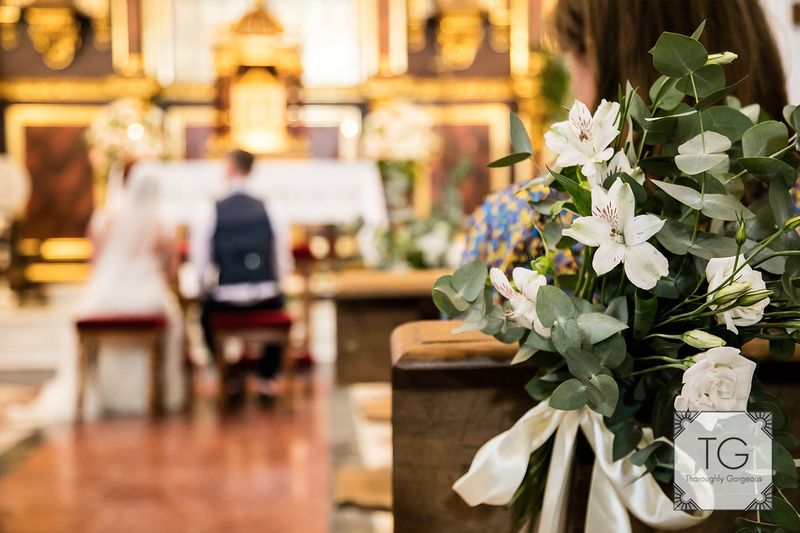 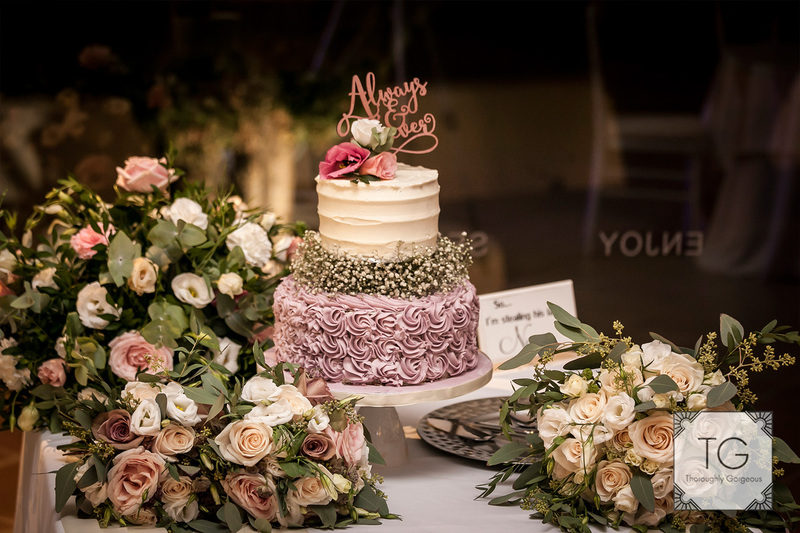 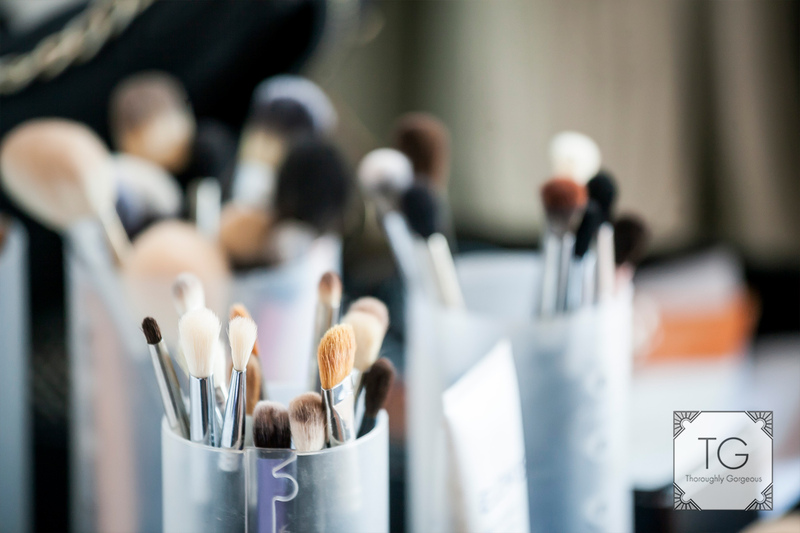 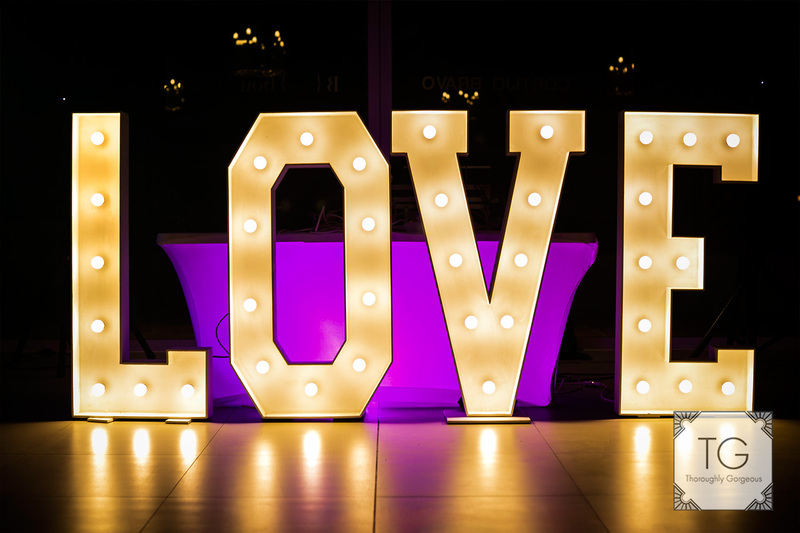 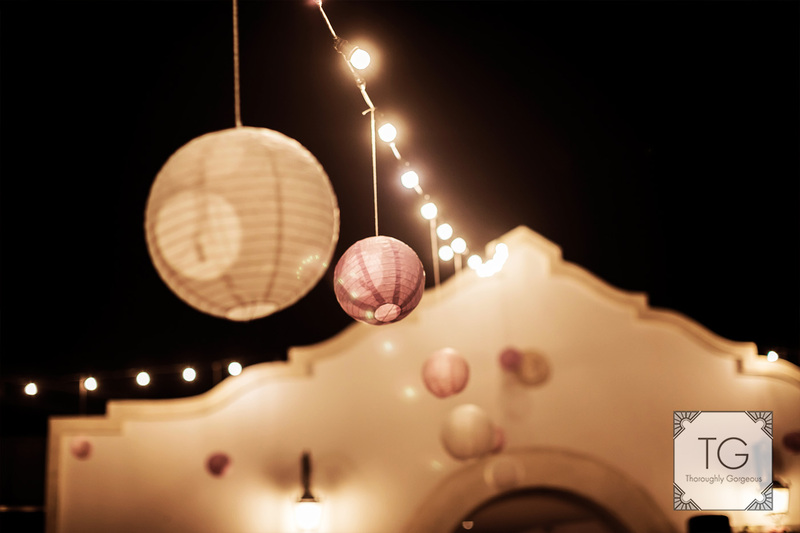 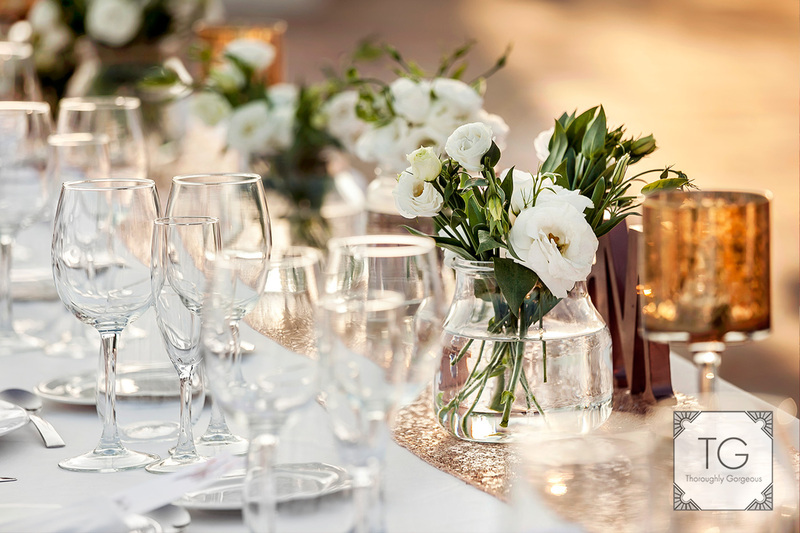 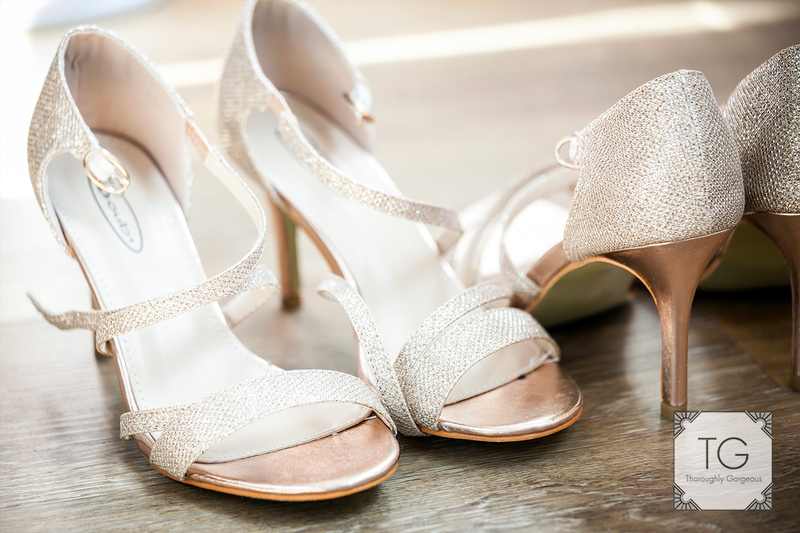 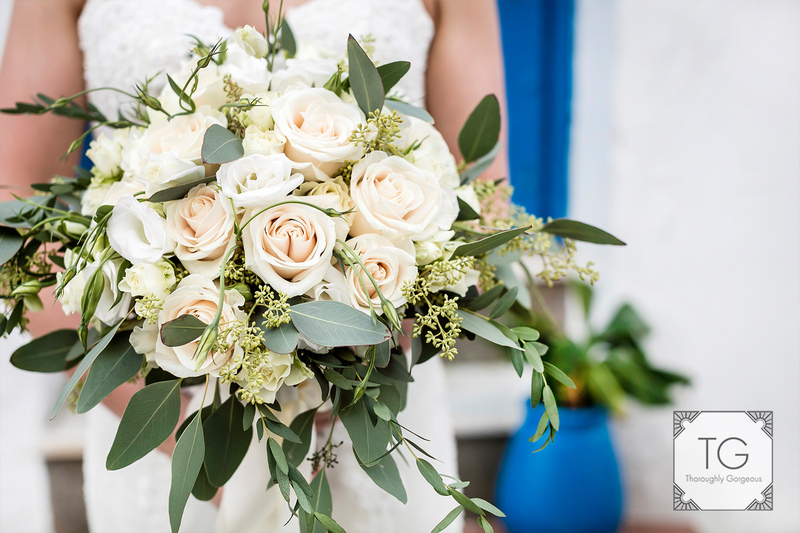 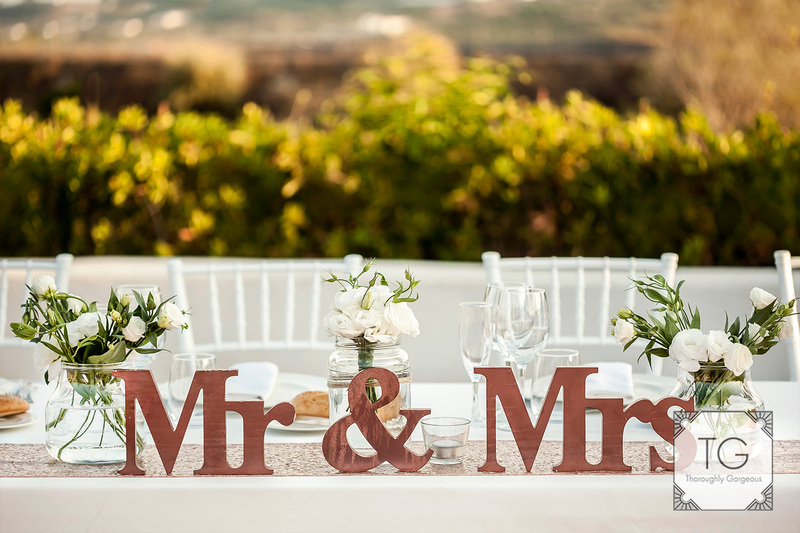 Organising a wedding from far is not easy though and it is very important to hire a competent and patient wedding planner, somebody with lots of experience in what its like to be a couple from far and that is able to reassure you and make sure you can relax knowing all is taken care of. 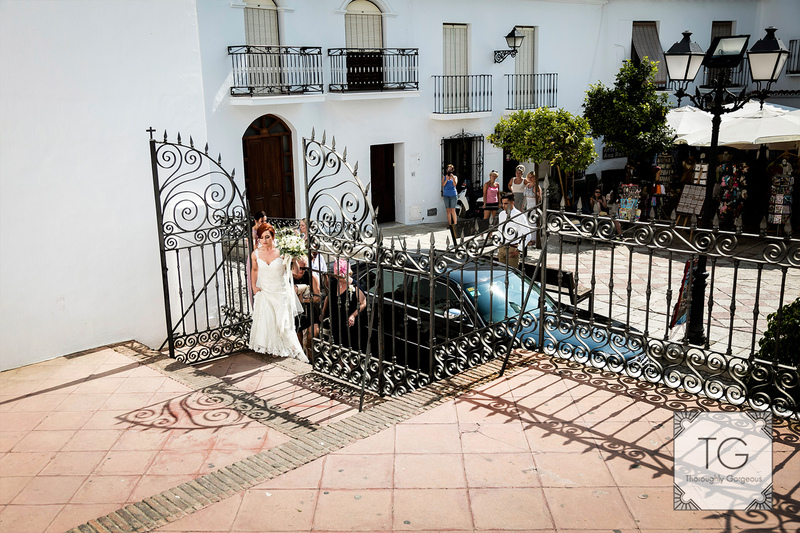 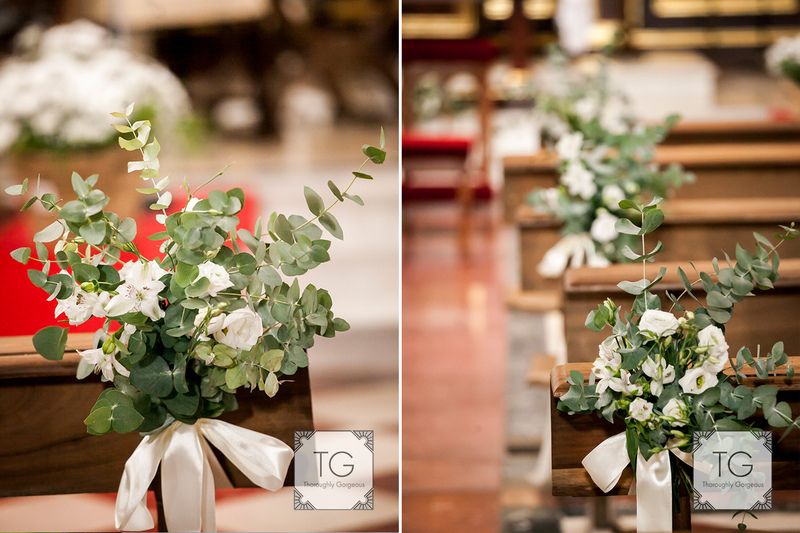 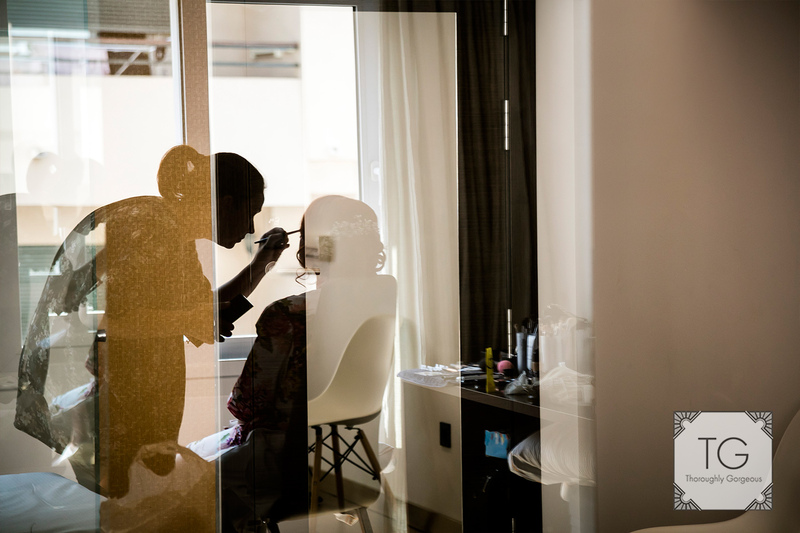 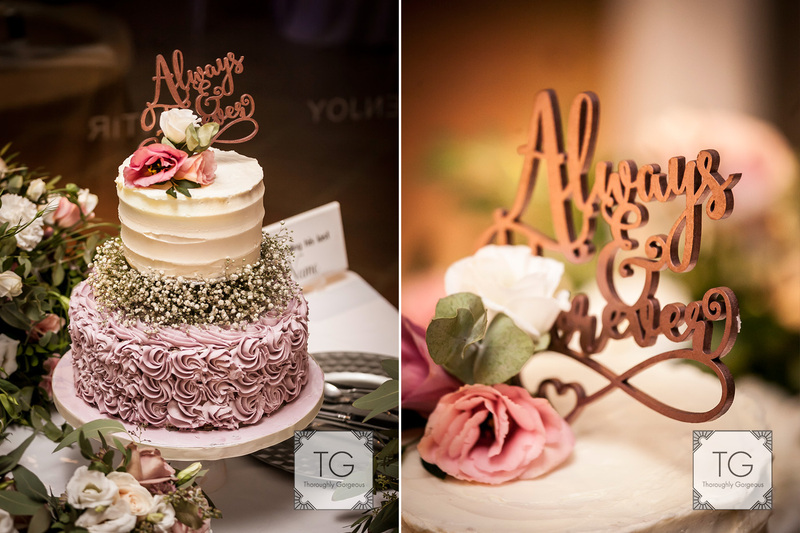 In this case they got it spot on and the lovely Paula from Perfect Spanish Weddings did a fantastic job. 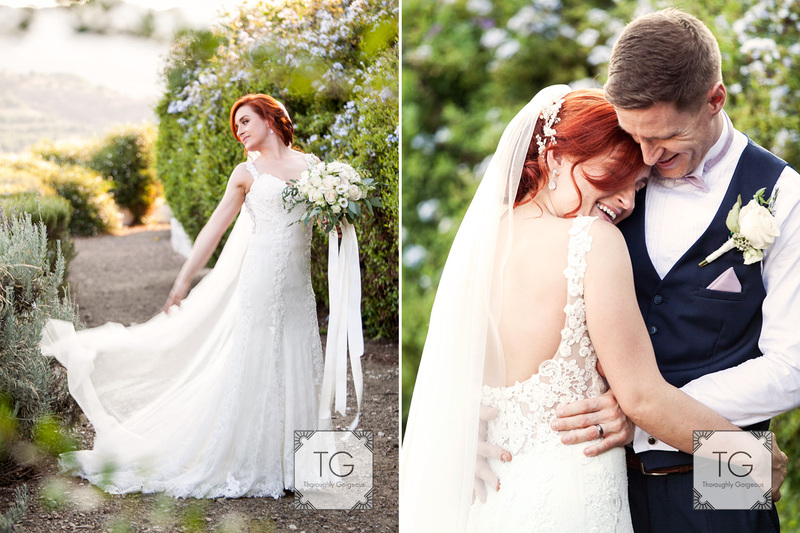 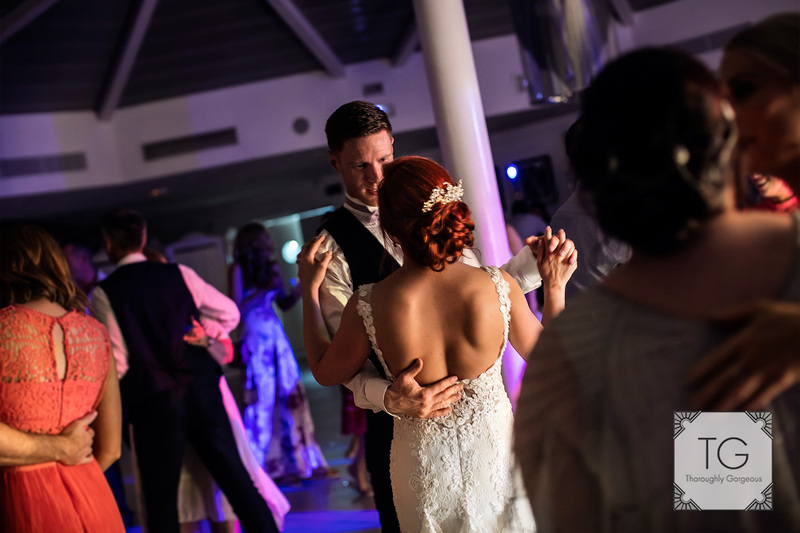 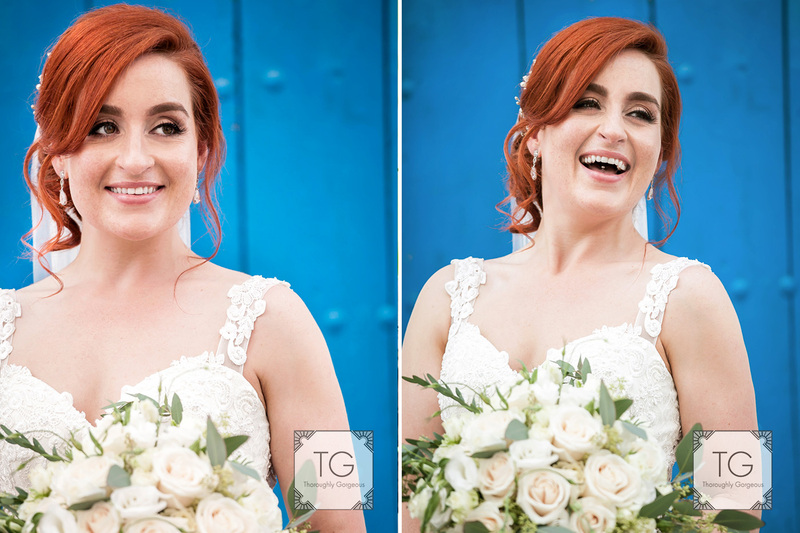 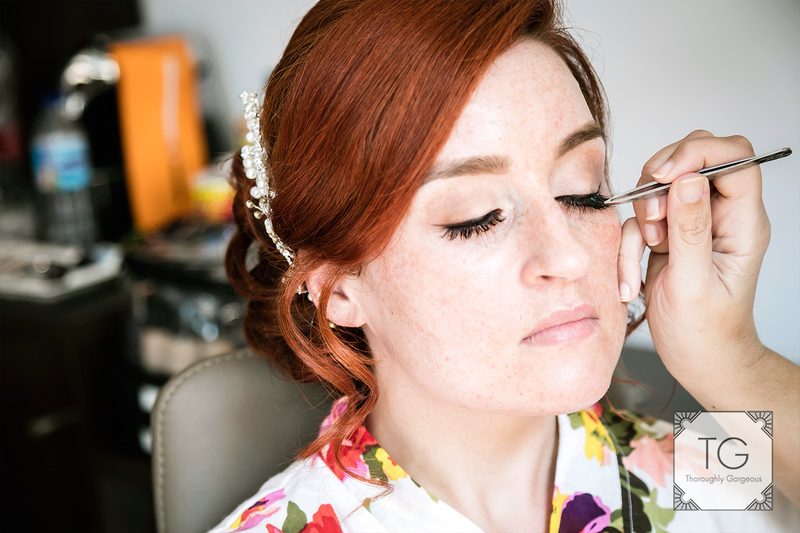 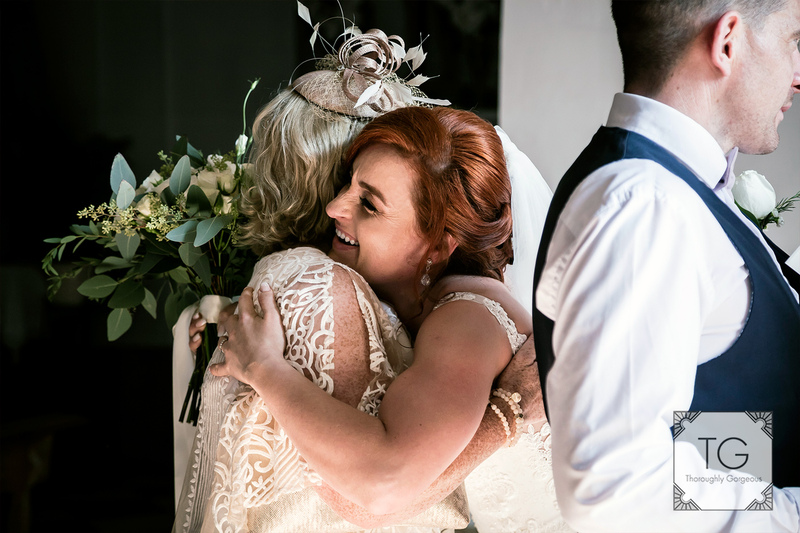 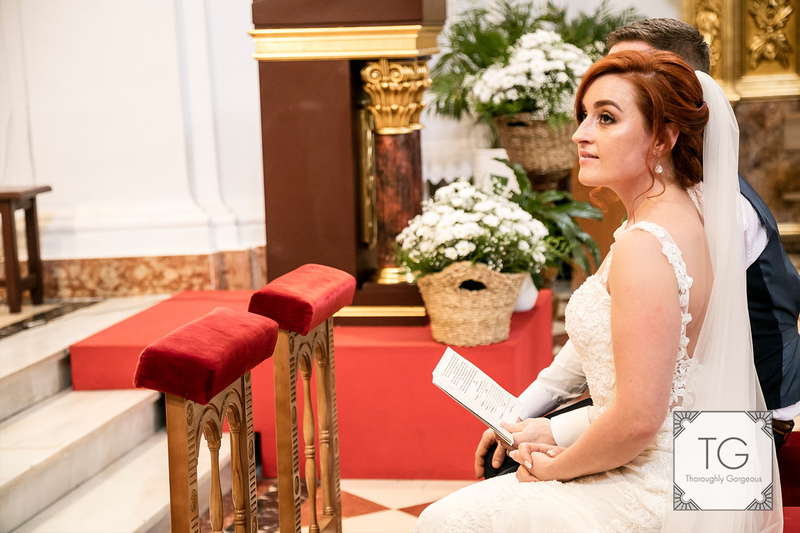 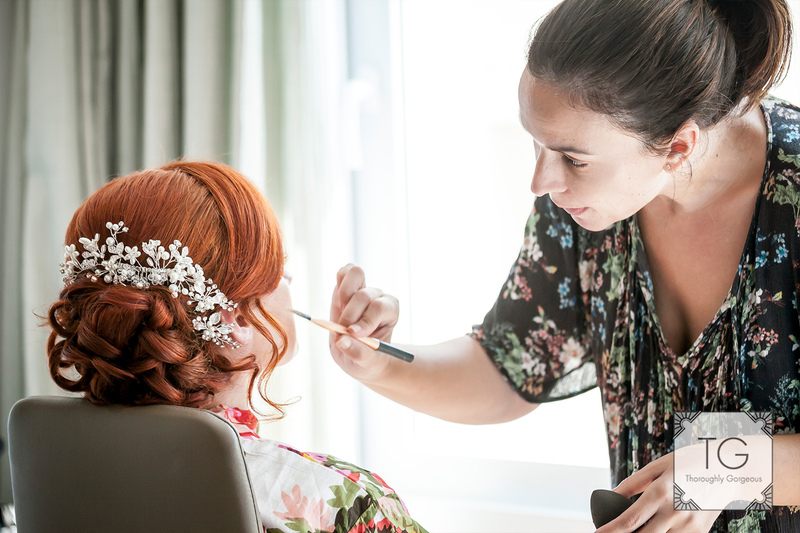 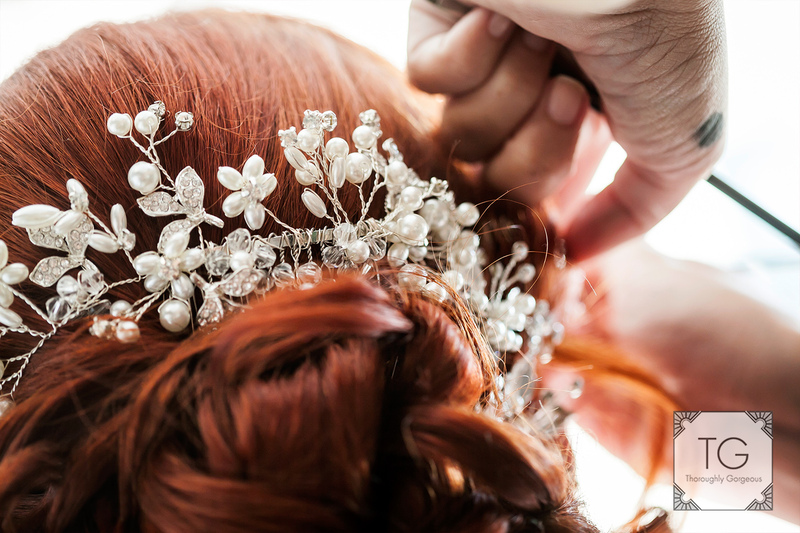 Sharon looked gorgeous with a classic lace dress and some lovely pearl and diamante headpiece adorning her striking red hair, all her hair and make-up done by the lovely Sonia. 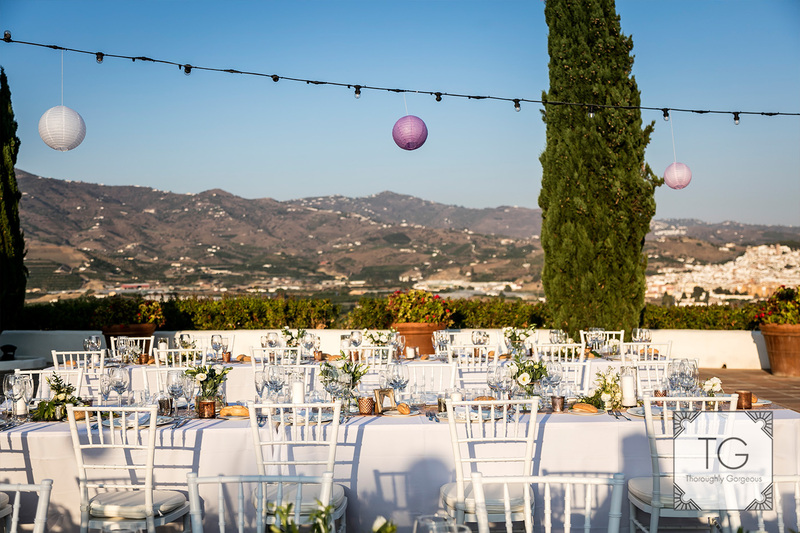 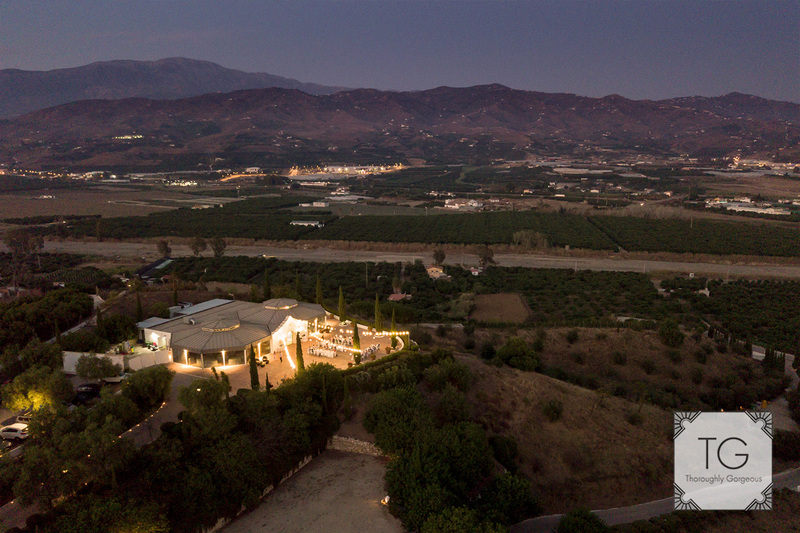 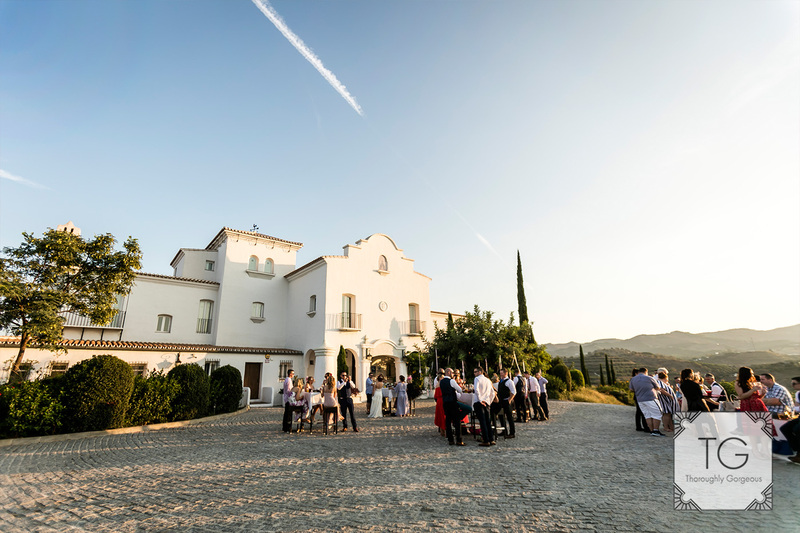 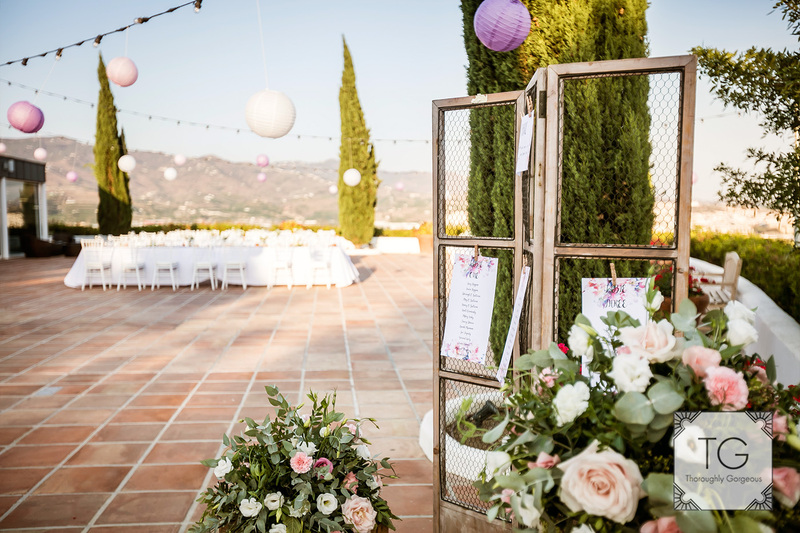 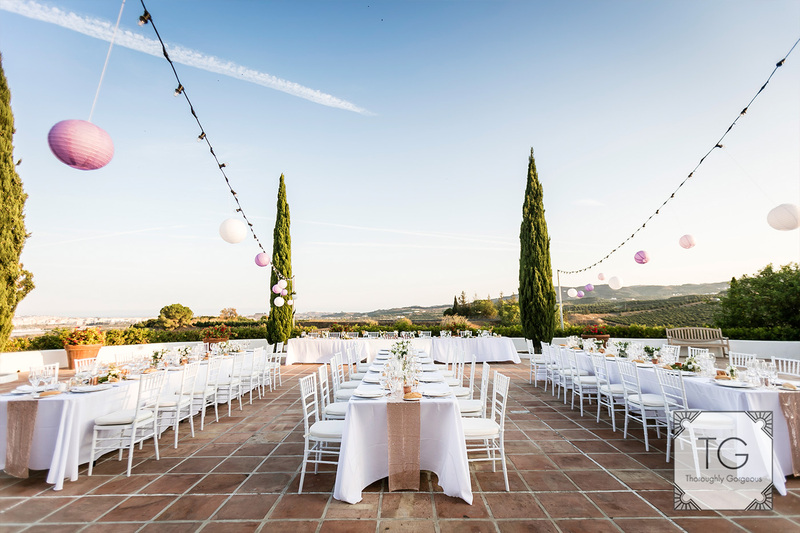 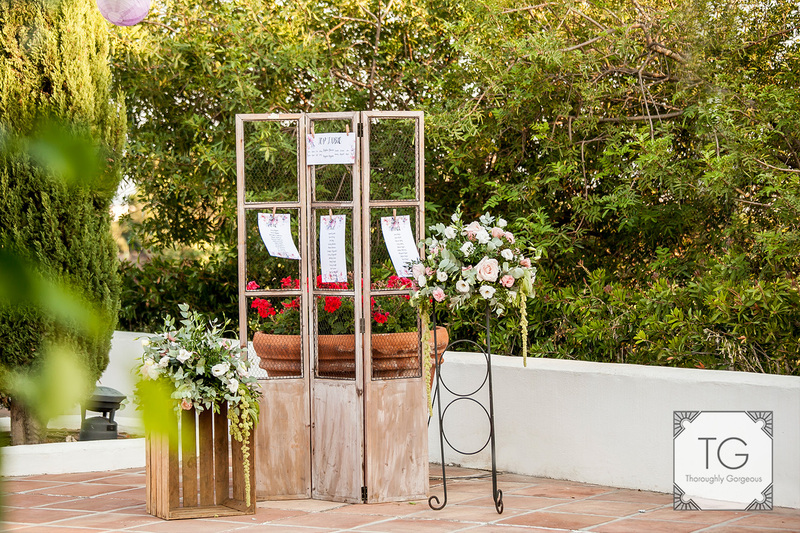 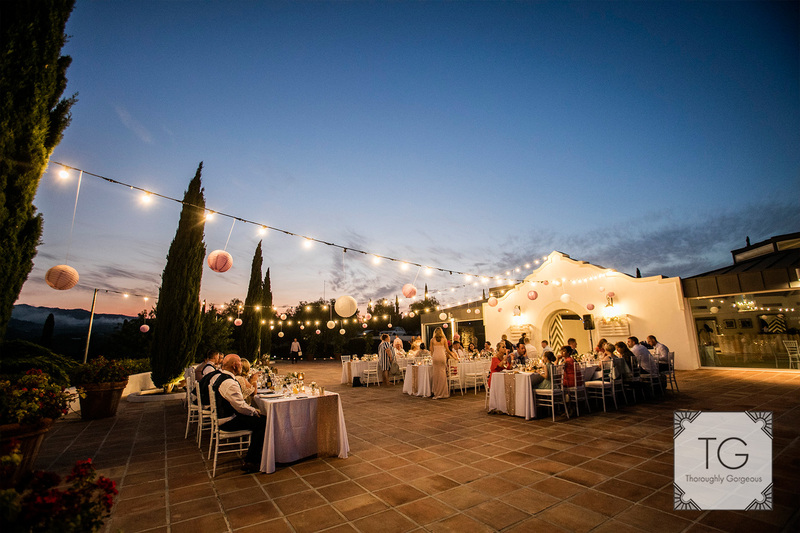 The Hotel Cortijo Bravo was loving decorated by Carol Green to very specific demands by Sharon and the result is one of the best I ve seen at that venue. 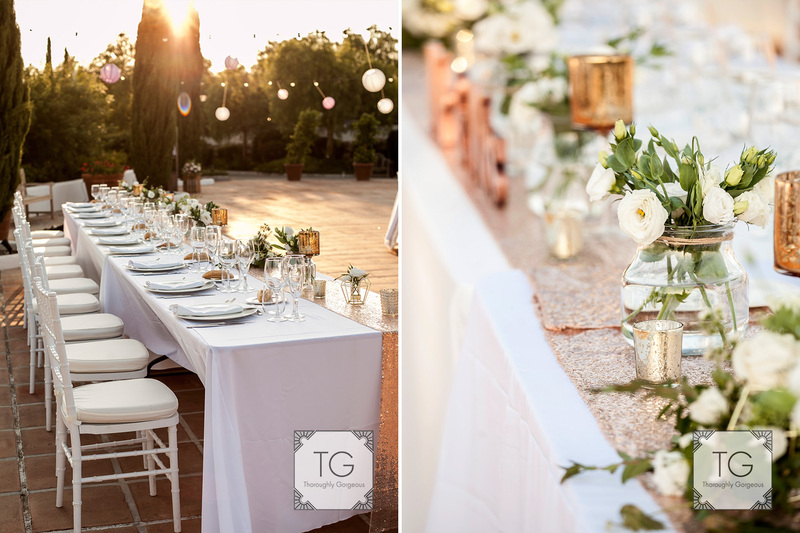 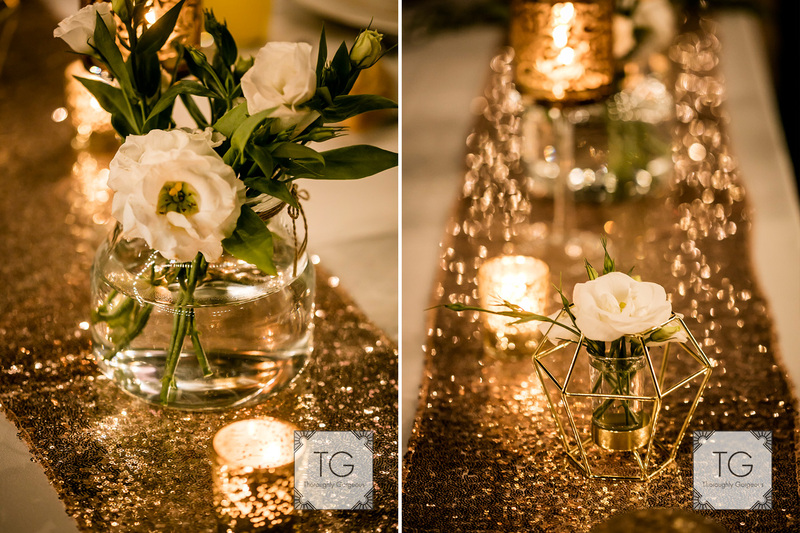 The warm orange sunset light bounced all over the place thanks to the copper coloured sequined table runners , the simple, elegant white flowers let the vases and gold decor pieces do all the talking giving all the are a touch of luxury. 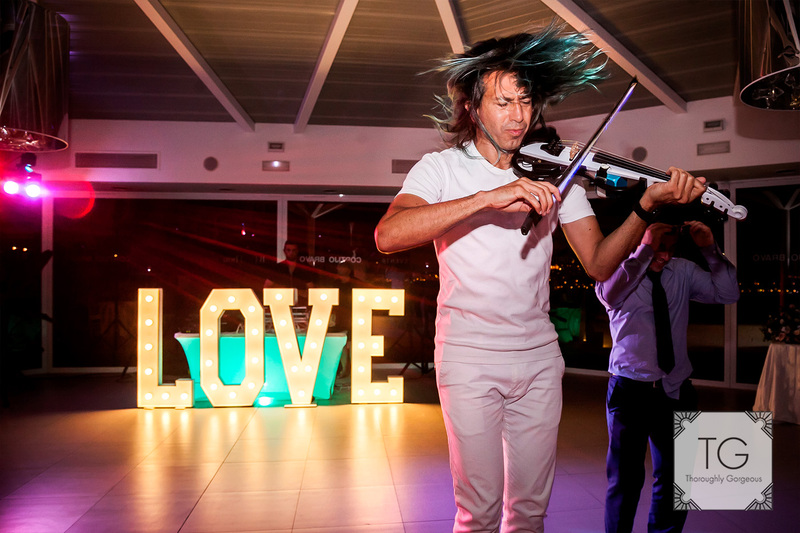 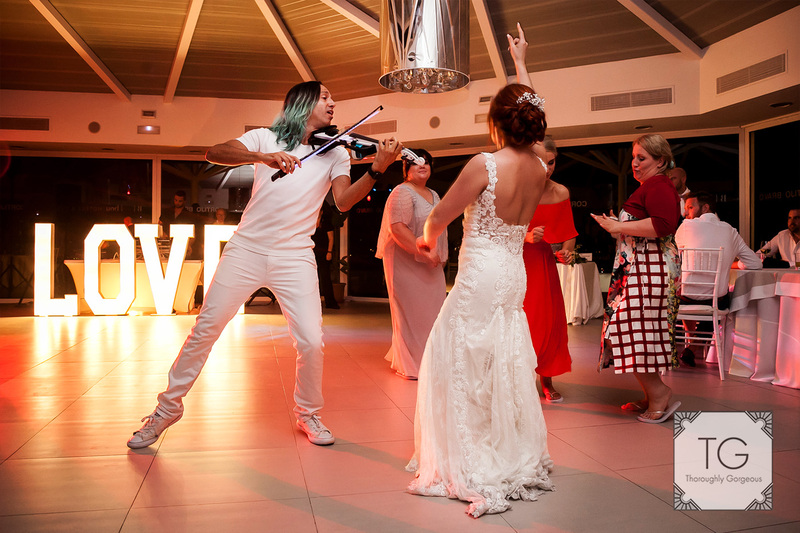 With DJ Tristan and Quike Navarro on violin late night fun was guaranteed and when I left friends and family were still going strong on the dance floor. 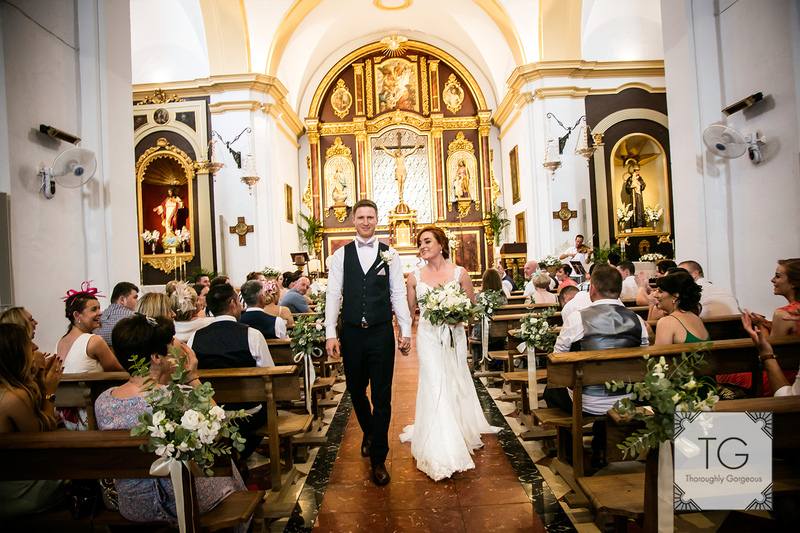 The whole day ran impeccably , the church , reception, dinner and dance were all relaxed, fun and definitely unforgettable. 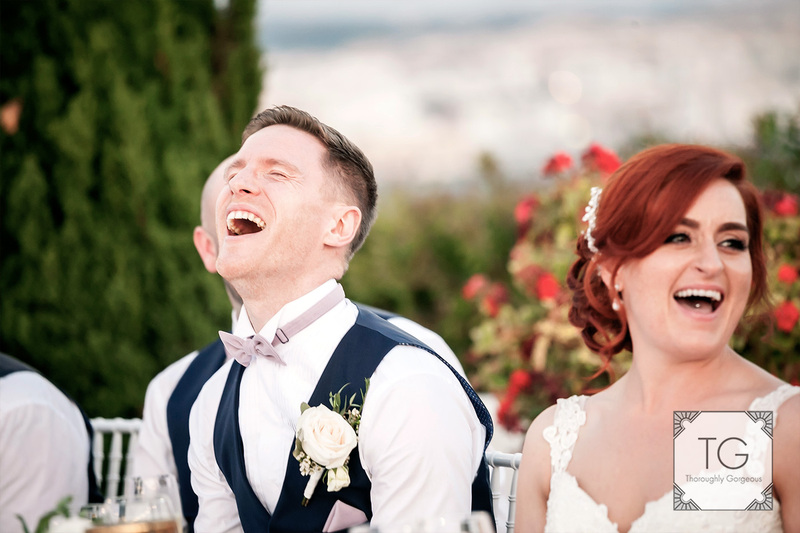 I wish the lovely Sharon and Stephen a long and happy married life!